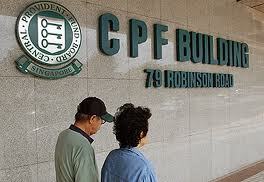 CPF: Where is the government’s contribution? The CPF scheme is an implicit and regressive form of taxation, especially for the poor and the middle class. Those with substantial cash reserves are least affected by the minimum sum policy. For cash-rich Singaporeans, they have better investment options which yield better returns annually. They are also able to utilise their CPF monies to enhance their CPF assets, which puts them in a better financial position than their poorer counterparts. But for the poor, the investment options are limited as most of their cash assets are already locked up in their CPF accounts. There is an opportunity cost for not fully participating in the economy and the state restricts their full participation by imposing a minimum sum balance in their accounts. The difference between the rates of return that the government gains from the investments in GIC as opposed to what is dispersed as interest rates to CPF members is often viewed as an implicit form of taxation. This implicit tax is imposed for the risk that the government takes on behalf of the members. CPF savings are not only capital protected but they also give guaranteed returns on deposits. The Board sets the interest rates slightly higher than the savings and fixed deposit rates that the local commercial banks provide. Is this a fair benchmark? Is the tax that the government imposes on the depositors fair, or perhaps it should remove it altogether, save for some administrative costs? Some economists have argued that the rate of return is fair on the basis that the depositors have the ability to withdraw funds for approved uses like healthcare, education and housing. While there are others who feel that depositors should be able to withdraw the funds at their complete disposal like a current account deposit since it is benchmarked to a savings rate. Under our colonial masters, the CPF was designed as a lassie faire scheme where both employers and employees set aside monies for their pension programme and the role of the government was that of a mere administrator. The reason for that was because the British government did not want to burden their tax payers by catering for the retirement needs of their vast colonies. But over the years the PAP government has made so many changes to the scheme to encompass social security needs such as healthcare, housing and education, and most importantly, has assumed the role of a regulator. The CPF scheme has evolved to become a state-run pension programme. The members’ rights have been usurped by the state. The government does not contribute a dime to the fund, it extracts economic rent instead. The key question to ask is where does the government derive its rights to determine what is best for the members? Did we give the Board any discretionary powers to administer our CPF monies? Does the Board have powers to determine the quantum of minimum sum and the withdrawal age? The arguments for the minimum sum seem to stem from the nanny state culture that the government knows best. If members were given a free hand to withdraw their funds early, PAP MPs argue that they would squander it on white goods, travel, alcohol and to feed their vices and habits. It is again based on the premise that the government is in the best position to determine our fate. The fact is, the government does not have a carte blanche and cannot run away from the fact that any levy, charge or costs imposed on the funds need to be transparent to the account holder. There can’t be full accountability without full transparency. The lack of transparency does not necessarily mean that our CPF system is vulnerable, corrupt or that the funds are misappropriated by high level government officials. The notion of a corrupt CPF system is a little far-fetched as it would involve many government officials to be complicit of a crime over three to four generations. We at The Independent Singapore would like to propose a tripartite model for our pension systems – a system where the employee, employer and the government contribute to the members’ accounts as opposed to the current model. The government has made huge revenue surpluses over the last five decades; it can surely afford to set aside a small portion from the investment returns from Temasek Holdings, GIC and land sales into our pension schemes annually. Our second proposal is to eliminate all implicit forms of taxation on CPF savings. The government is in a healthy financial position to underwrite the risks and therefore need not resort to any form of taxation. And thirdly, move the CPF Board from the current purview of Ministry of Manpower to the Ministry of Finance and include all administrative charges on the fund as part of our national budget.